There are two kinds of champions that exist in this world. Some champions wear the medal and take the crown. These champions seek to win and are usually the ones who get applause and all the glory. On the other hand, there are those champions who also put forth a lot of effort, but often times go unrecognized for all that they do—unsung heroes. At Suitland High School, our inaugural high school in Prince George’s County where we have launched youthCONNECT, there are champions who go above and beyond to support students. 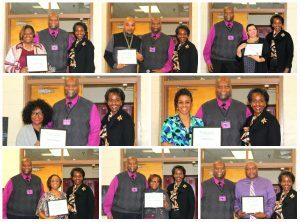 Every day, these champions embrace their roles in shaping the futures of students by devoting their time and effort to inspiring, uplifting, motivating and positively influencing students. youthCONNECT at Suitland High School is made up of five nonprofit partners that build a supportive community to collectively improve education and employment opportunities for students. 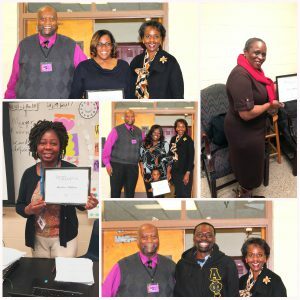 Our youthCONNECT partners recognized that helping students requires the energy and efforts of faculty and staff. Each nonprofit partner selected champions to be honored for all that they do. The honored champions are those who exemplify what it means to have a collaborative spirit and to be committed to the success of young people. 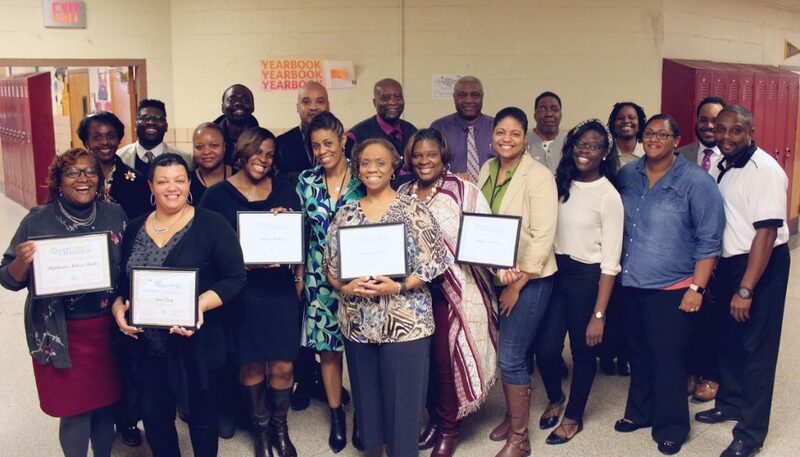 These champions help our nonprofit partners by reemphasizing the importance of the youthCONNECT programming, lending their classroom management expertise and referring students to the youthCONNECT partners for services that they need. Both the youthCONNECT partners and educators at Suitland leverage each other’s resources to ensure that students are graduating high school career- and college-ready. Teachers want to make sure that their students are leaving high school as healthy and happy young adults who are ready to take on the world, so they turn to the partners for extra support. The youthCONNECT partners want to make sure that they are not missing a student who is really in need of their services, so they look to teachers to refer them to the students that they encounter each day. This partnership between the two is helping students reach new heights, learn about themselves, discuss their aspirations and discover ways to reach them. Having champions who are supportive of the students when sometimes they have no other support is essential.